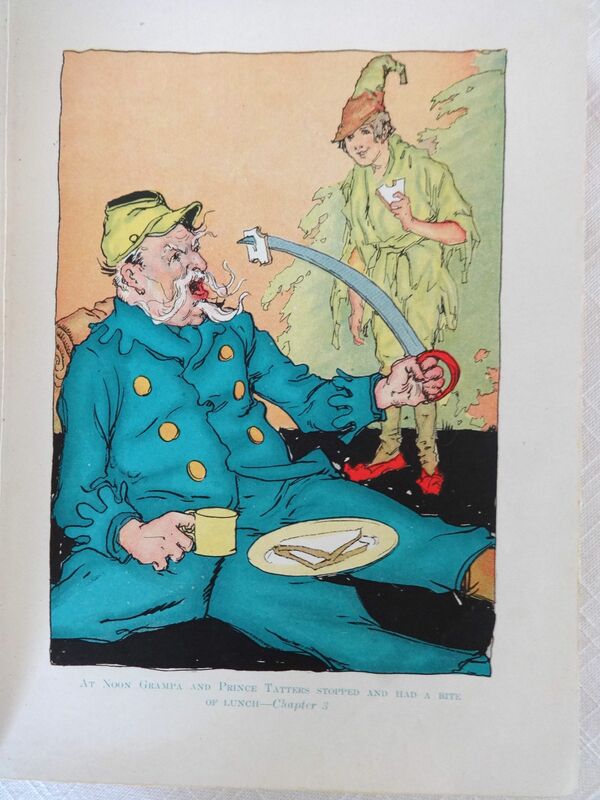 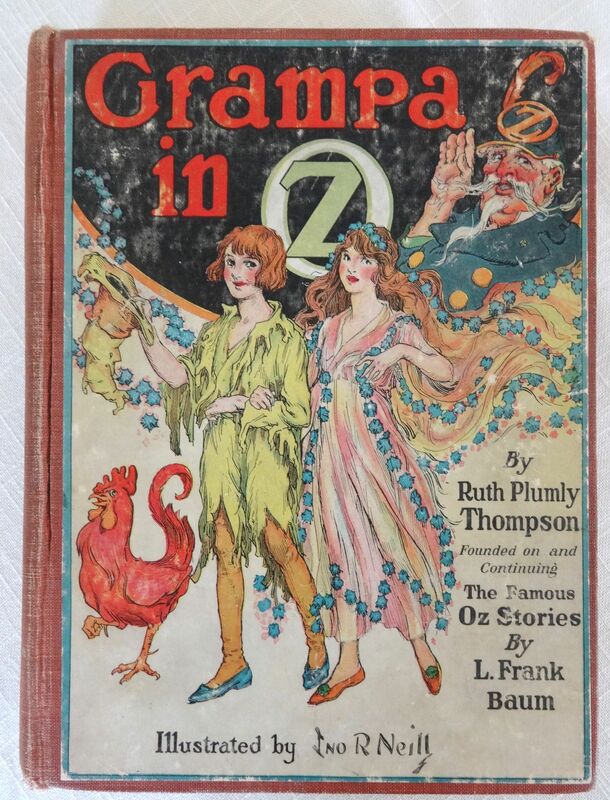 Here is a nice 1st edition, 1st printing of Grampa in Oz by Ruth Plumly Thompson. 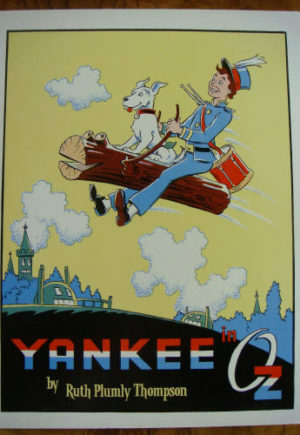 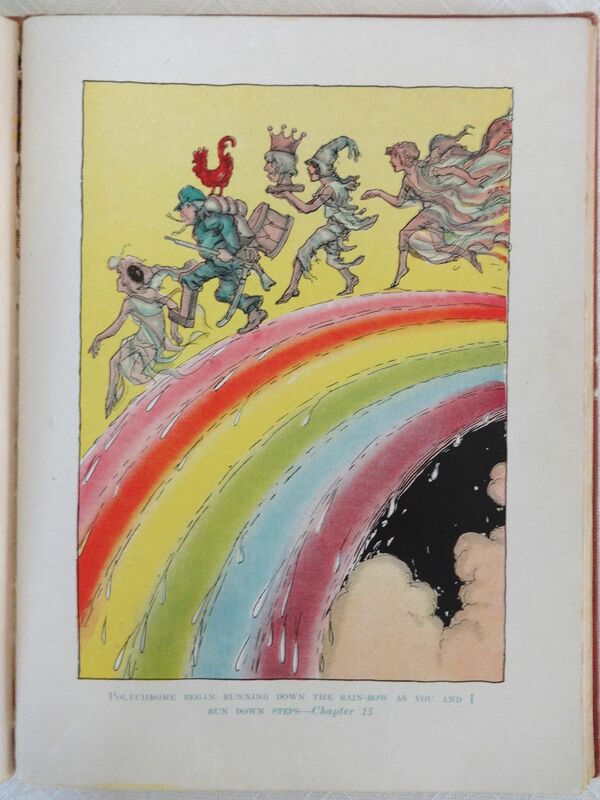 Published in 1924 by Reilly & Lee, with 12 color plates by John R. Neill. 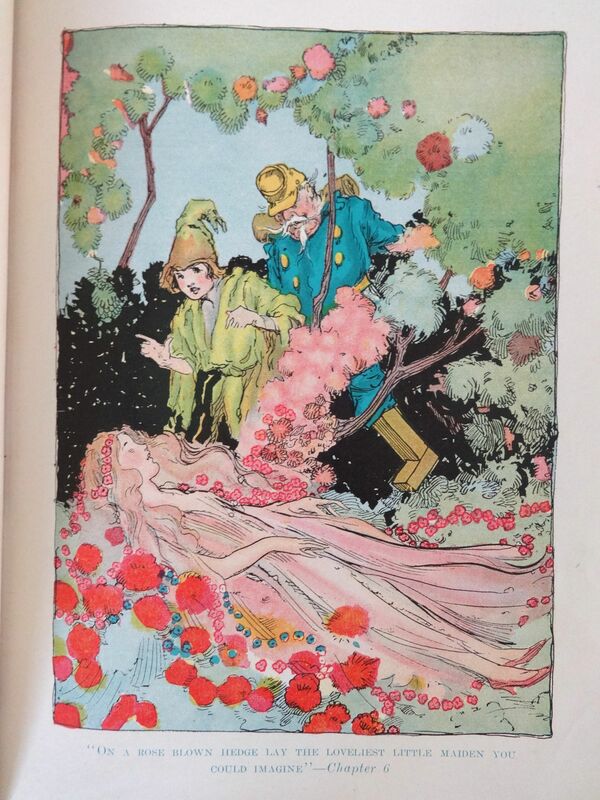 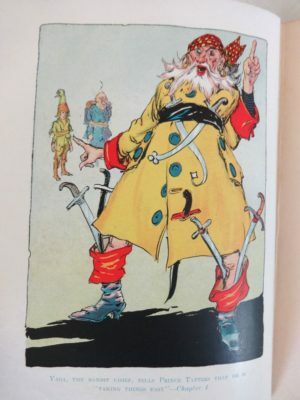 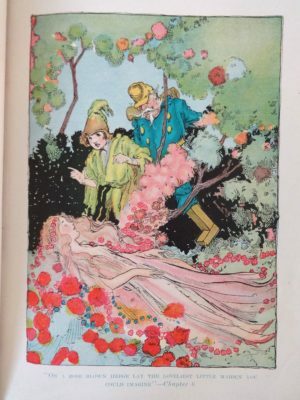 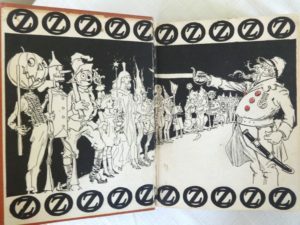 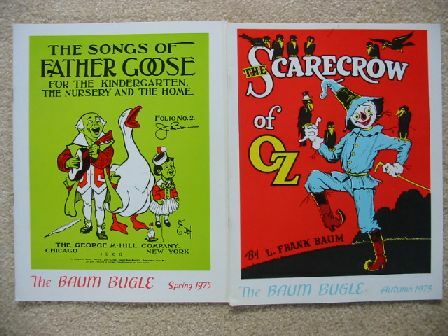 (This is the only early Oz book that didn’t have a color frontispiece as one of the 12 plates). 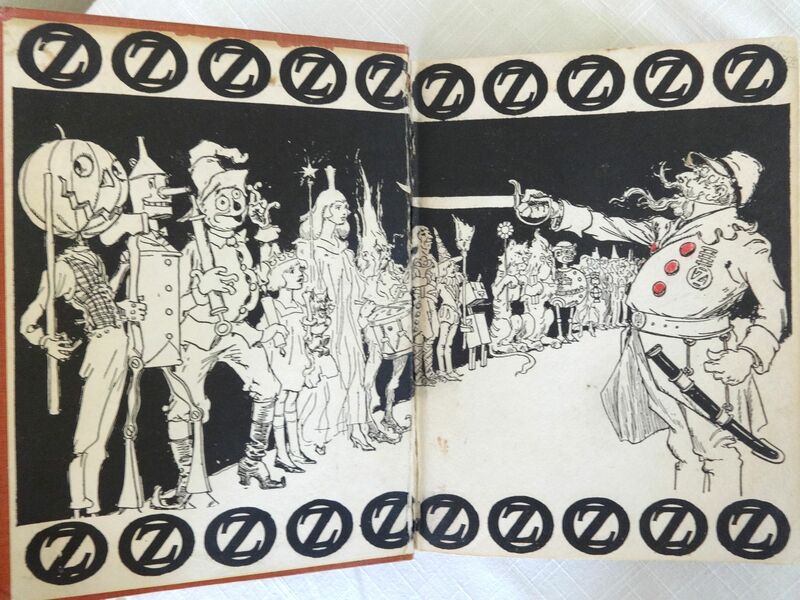 Light brick red cloth wiith nice illustrated endpapers. 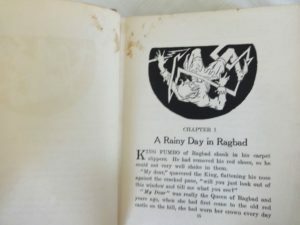 As called for in Book Collector’s Guide to Baum, the numeral on page 171 is in perfect type; later printings showed type damage. 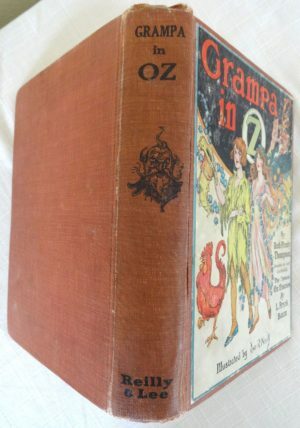 Book is in good condition, with fading and rubbing to pastedown, and cloth mostly intact with a little fraying at base of spine. 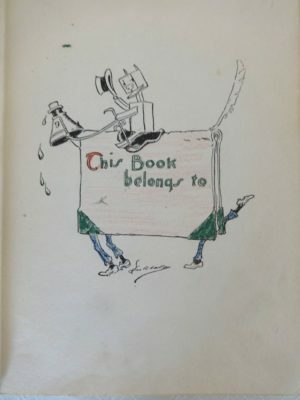 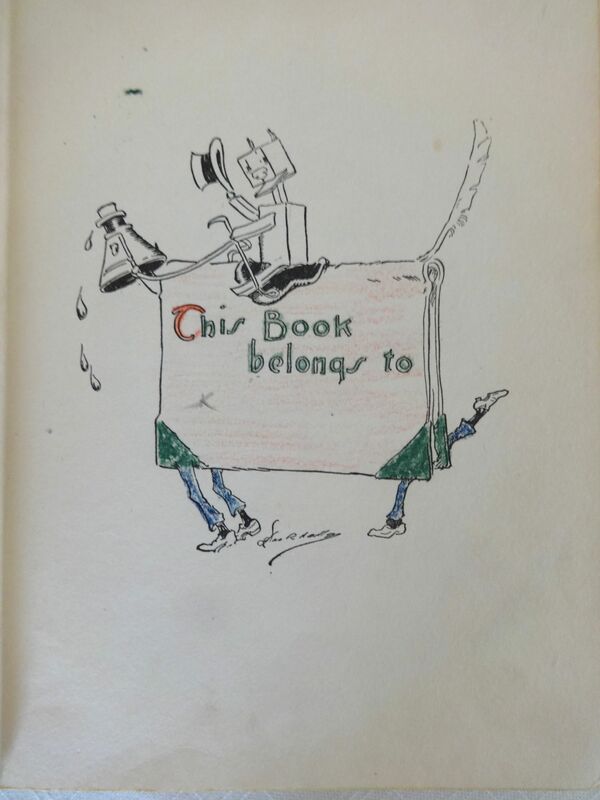 Inside, the front hinge has been reglued slightly imperfectly, and the buttons on the endpapers and frontispiece, as well as the Book Belongs To page, have been colored. 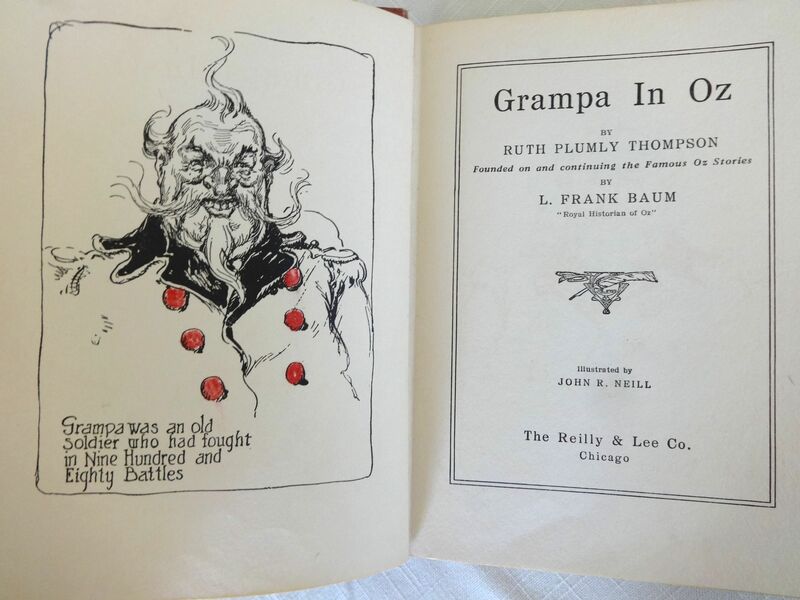 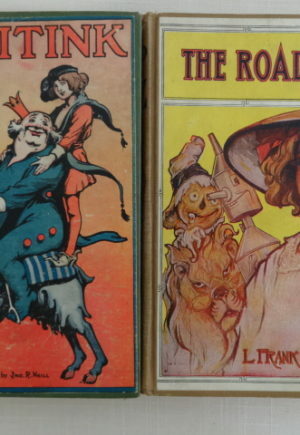 The rear hinge is in good shape and the book is complete, with all 12 color plates intact and in very good condition. 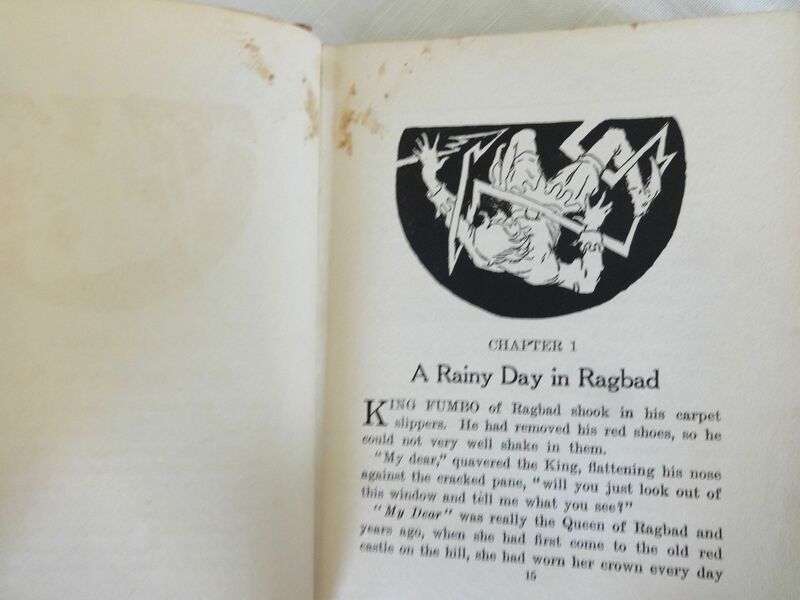 The pages have finger soiling; the worst shown. 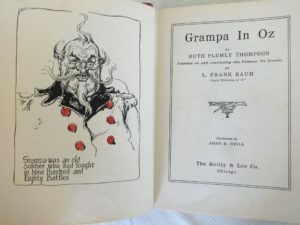 Overall, an imperfect but decent copy of a desirable Thompson 1st edition.